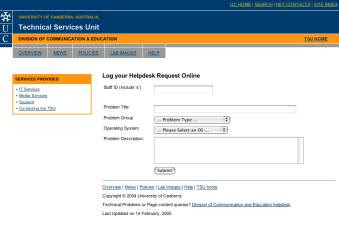 More complete February 2005 Helpdesk statistics are provided. Last month incomplete data for February 2005 was provided: below the figures are updated. While the graph demonstrates the amount of requests dealt with by the TSU in February, we have been more diligent recently in adding requests to the system so that we can better manage the requests.